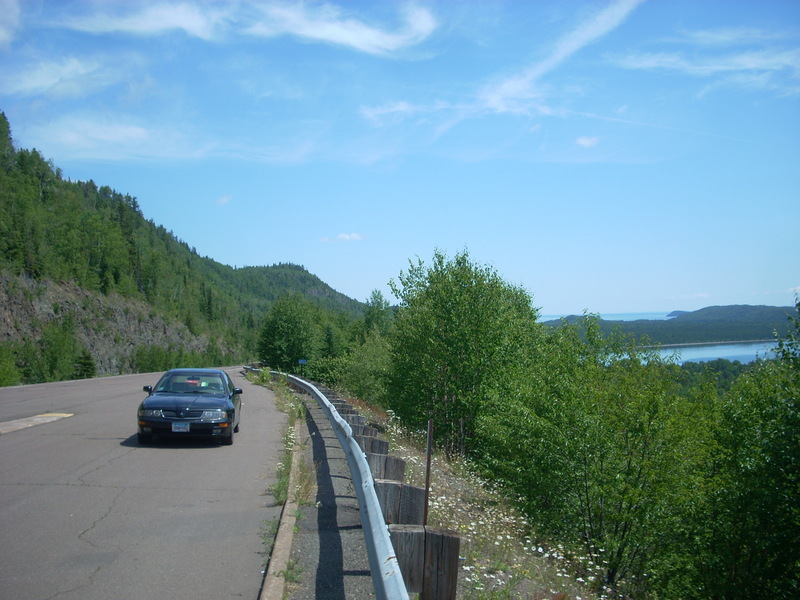 Hanska, MN, is an example one of those places I love to rave about here on HighwayHighlights.com. It’s a small town in the southwestern corner of Minnesota directly south of New Ulm, population 400, mostly Norwegian background, surrounded by farmland. It’s unassuming, quaint, and quiet. A couple county roads go through town, which consists of a small main street with a gas station, “municipal” (city-owned) bar, a handful of old buildings, some vacant and some still in use, a couple churches and a city park. There are a lot of these farm towns in Minnesota, many of which are home to quirky things that end up on this website. 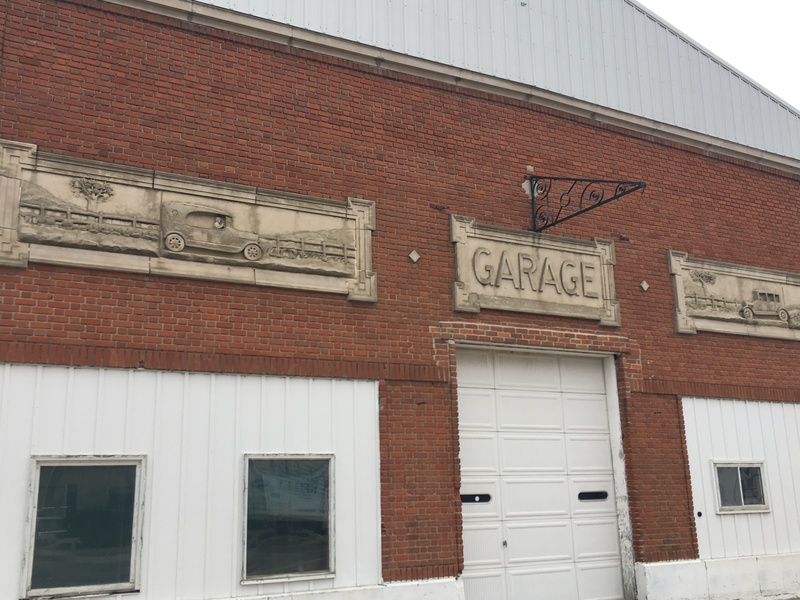 Hanska is home to an old auto garage, built in 1919 by a man named Lawrence Bjorneberg. This period of time was when the advent of the automobile’s popularity was growing exponentially, and the need for auto repair shops and dealerships arose. Almost every town had one (most still do), but the one in Hanksa was designed with three cast concrete “bas-relief” (raised) sculptures on the front facade. The structure itself is otherwise very ordinary. 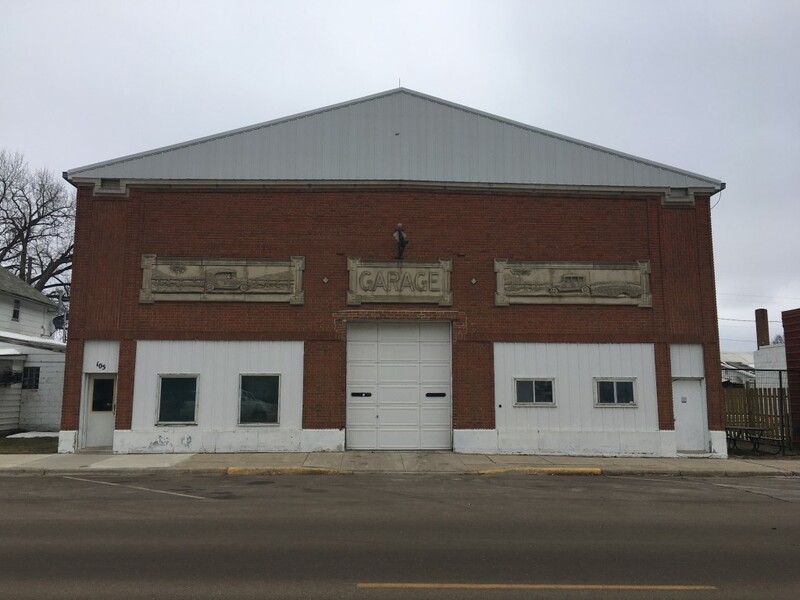 The brick building featured one main garage door in the center and the main access door and windows also face the main street. But what makes this place amazing is that those concrete structures still look as beautiful and charming as ever, 100 years later. 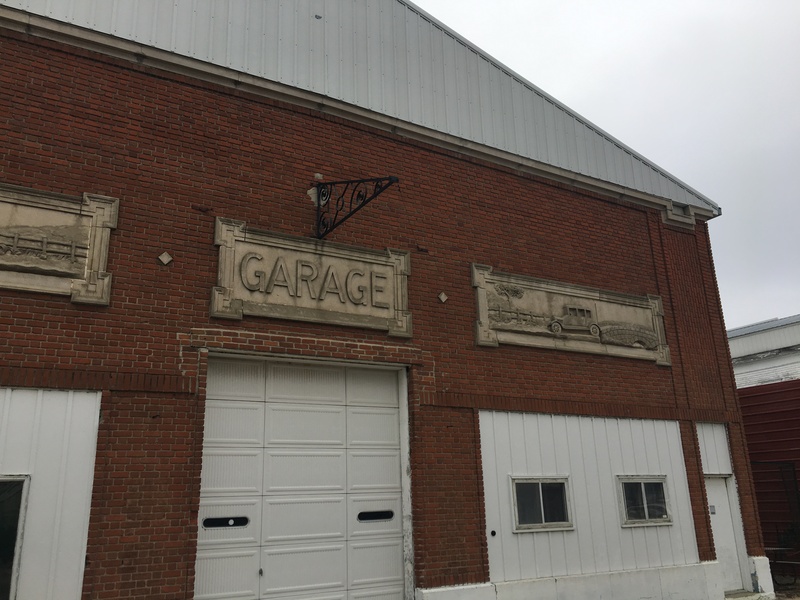 This was a simpler time when detail and creativity went into things as ordinary as the signage for an auto garage, unlike today, where plastic signs are bought as cheap and plain as can be. The left sculpture features a person driving a car through the countryside, complete with details like a fence, trees, rolling hills, and rocks. The sculpture on the right features a car parked by a stone arch bridge over a river, also with trees and rolling hills in the background. 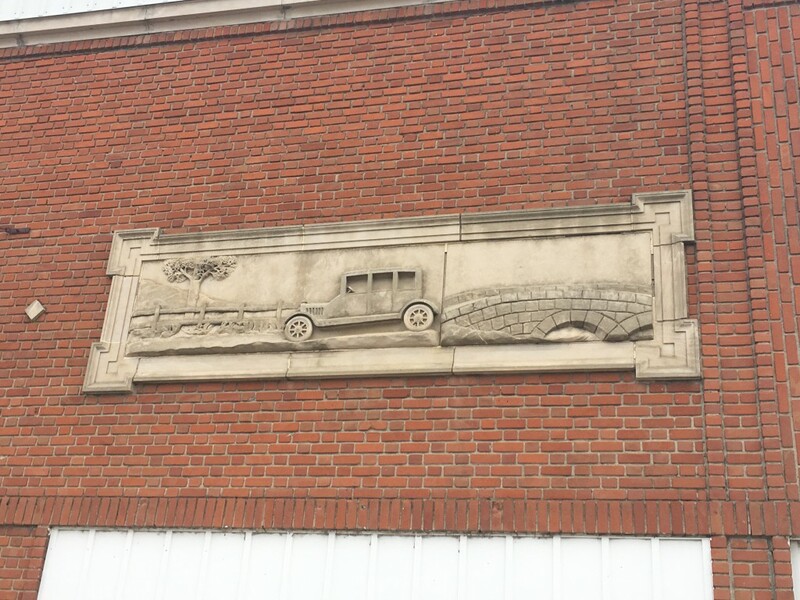 Although sources disagree over who created the scenes, we can all agree they captured the whimsical spirit of the automobile as a symbol of American freedom at the time, which still very much exists today. 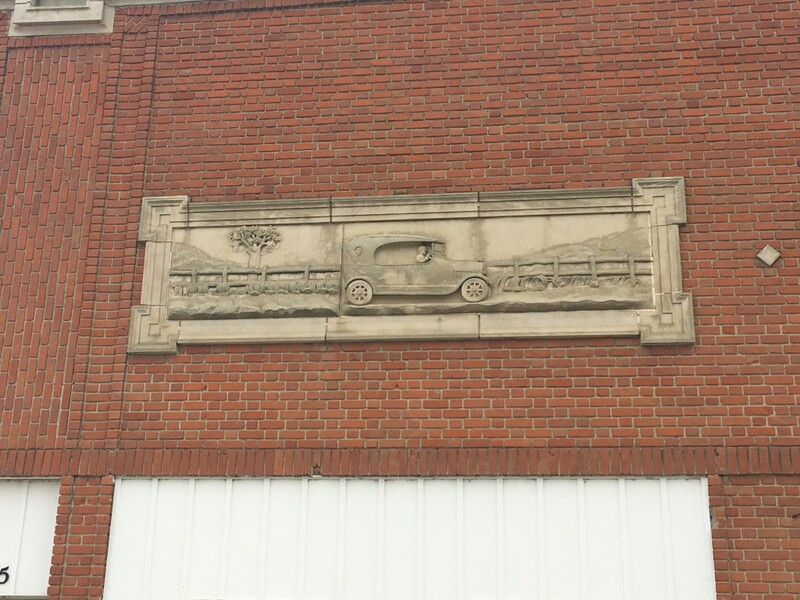 The building is listed on the National Register of Historic Places due to its architectural significance. Also check out the Norwegian “Stabbur House,” across the street in a city park. The Stabbur is a replica of those in Norway, which were used for guest quarters, food pantries, and extra storage. There are about four of these replicas scattered across Minnesota. 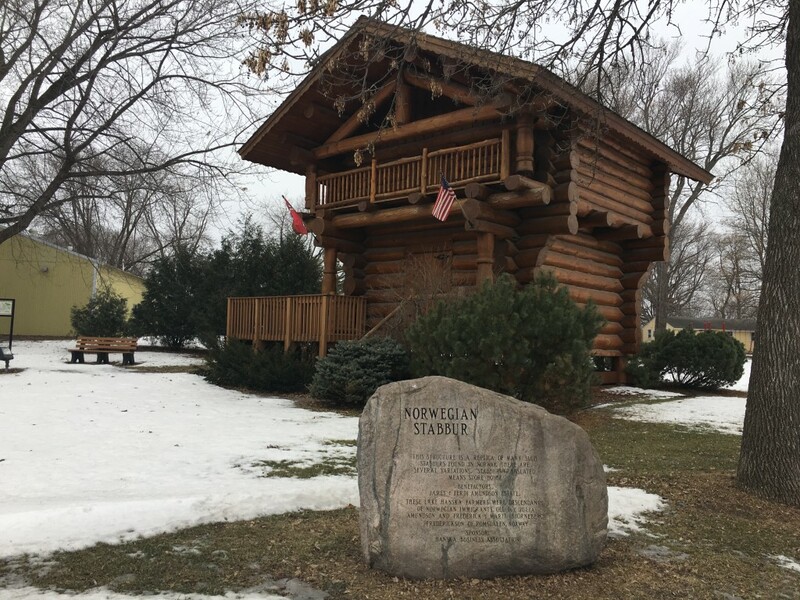 While in the area: New Ulm is always an amazing visit, and area towns Sleepy Eye and Springfield are also home to quirky old buildings, signs, and architecture. Or swing on over to Mankato to check out Minneopa Falls and the Rapidan Dam.